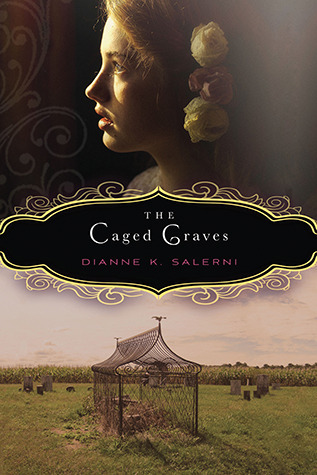 The characters in The Caged Graves were wonderfully layered and personable, I found them all to be rather spirited and above all, believable. Verity is strong willed and brave, she has mastered that southern charm and when the ladies in town disrespect her she gives them an “oh bless your heart” right back. She’s not a fainter and it’s pointed out on quite a few occasions that she is “not a boy,” meaning, she doesn’t act properly all of the time and that means that she is a girl right after my own heart. Verity’s intended, Nate, is the man of the town, every lady had their sights set on him before Verity showed up, thus being the reason she needs to school quite a few of them in manners. In a nutshell, Nate is dark haired, devoted, sweet, and protective in a very tender manner. Where the ahem, other gentleman in Verity’s life, Hadley is a light eyed, ginger haired doctor who won’t hesitate to tell you what he wants and when he wants it. I’ll be honest, I didn’t like Nate at first, but I don’t think we are meant to. In fact, the first few meetings of Nate in comparison to the first few meetings of Hadley really show their differences and I wasn’t sure where my heart was headed for a while. You may have heard a little something about a love triangle going on in The Caged Graves and readers, I can’t lie to you, it’s there. I can’t tell you how incredibly scared I was while reading (no seriously, ask my friends, it’s all I kept talking about) because I was so worried that this possible love triangle would turn into a SERIOUS PROBLEM, and my feelings would become conflicted with Verity’s and then at the conclusion I would be completely messed up wondering if I she made the right choice. Let me tell you, there were a few close calls, a few times I was wavering in my loyalties, but in the end I am thrilled with my Verity’s decision. So yes, there is a love triangle of sorts, but no, I don’t think that it controls the story at all. In fact, I think the relationships in the novel sit side by side with the mystery and they weave together quite nicely. Ms. Salerni definitely has a knack for writing relationships of all kinds. I enjoyed the way Verity got to know Nate’s sisters, and her relationship with Beulah was rather fun and endearing. One thing I have to say is that I love, love, LOVE the way the author portrays the relationship between Verity and her father. The best thing about it is how much it grows through the novel, though her father seems a bit awkward and standoffish at first, the reader is really able to glimpse how much he loves his daughter under his hard exterior. It honestly reminded me a bit of my own father and melted my heart quite a bit. The setting and plot of The Caged Graves was completely enthralling. As we gain glimpses into the past through Verity’s mother’s diaries we are able to work out the mystery as Verity does, little by little. The action was continuous and intriguing and though I may have figured out small bits of the mystery as we’re meant to, the ending really caught me off guard. I love when that happens. On the whole, this novel was just right. It had just enough history that I didn’t feel overwhelmed by incessant facts, just enough paranormal elements that made it still completely believable, just enough mystery that had my mind constantly working trying to figure out what was going to happen next, and most importantly, it contained the perfect amount of stolen glances, tender kisses, and undeniable swoons. The Caged Graves is a different novel than I am used to reading, and it is hard to place it in one category as it encompasses so many wonderful elements. If you’re looking for an immensely atmospheric, mysterious, and romantic read, I highly recommend that you pick this one up immediately. This entry was posted in Reviews, Young-Adult and tagged death, historical fiction, literature, love, mystery, romance, young adult. Bookmark the permalink. Oh man, seriously. I am dying to read this now – luckily I have an ARC waiting for me. Your review has me wanting to drop everything else and start it immediately. I’m glad the love triangle didn’t ruin it!! And I’m also glad that this wasn’t as creepy as it first sounded haha. The caged graves really freak me out! It’s a Goldilocks novel! It was done just right 🙂 And that’s good that the paranormal elements didn’t go too far because I hate when too much paranormal kills a book when it didn’t need to! Automatically here for any and all books in which a character is named Verity. I know you have already told me to read this, so obviously I’m going to be cracking it open soon, but reading your review just made me even MORE excited about it. 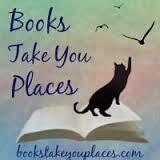 I am just loving the whole premise of this book! Also, I’m dying a little bit because the caged graves are a REAL thing in the REAL world. History nerdgasm over here.